Great solution if you need fingertips handy. Merino is smooth, doesn't itch. Good for cool weather and as a liner for cooking, photography, pitching a tent. Sadly may have been discontinued. Closeout purchase from an Icebreaker store that closed in our area. 100% merino wool. Very stretchy, not tight, cuff is ribbed and doubled over. Ends of fingers are nicely finished, no loose ends. Thicker than 200 weight merino long johns. I use them often during shoulder season hikes on their own. Very minor wear after 18 months. 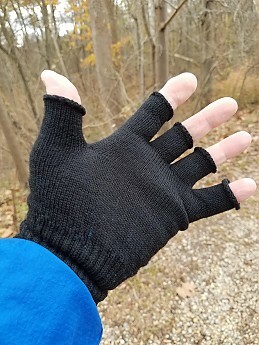 For years, I had been cutting off the fingertips of synthetic liner gloves (often after melting the tips on a stove or candle lantern) so I could have fingers available in the winter. 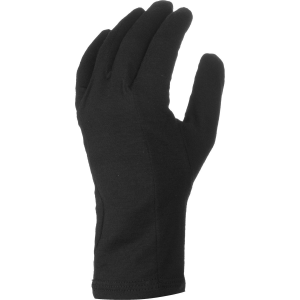 I mostly use them for cooking but sometimes wear them under mittens if I am using a camera frequently. 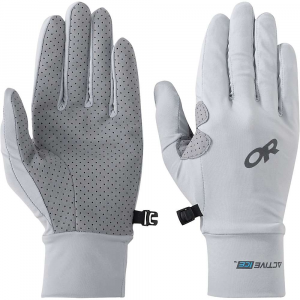 I have a nice pair of fingerless belay gloves, but they are not that warm, and the thick leather is a lot more bulky than these. 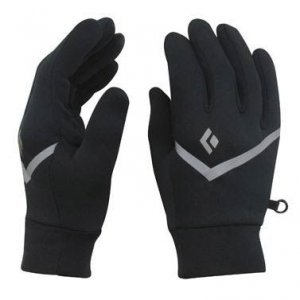 Off trail, these are great for driving and for the winter if you want fingers out for using a smart phone. Merino wool has some pros and cons. 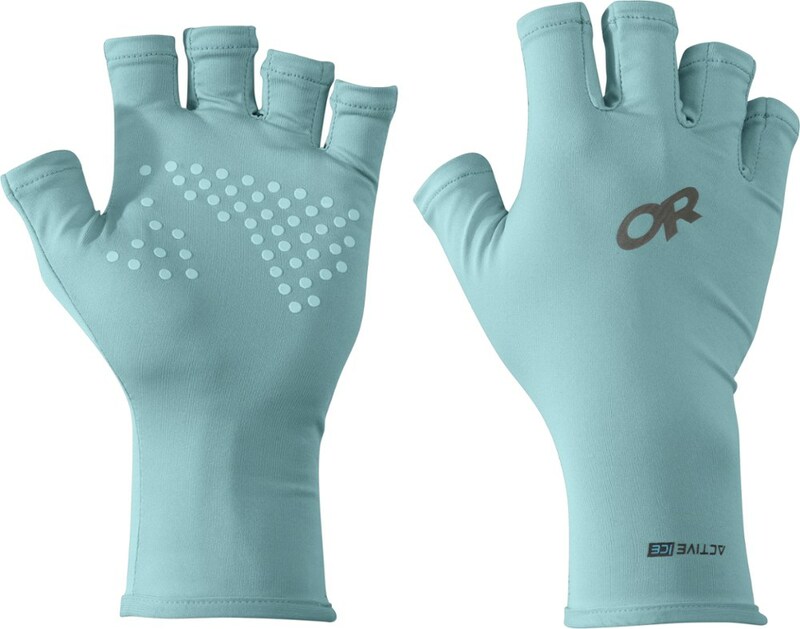 It dries more slowly than synthetic fabrics, and it is more prone to snagging. I have not had any tears or snags with these in 18 months. On the plus side, wool does much better with incidental contact with hot surfaces and is warmer than nearly every synthetic liner I have used. 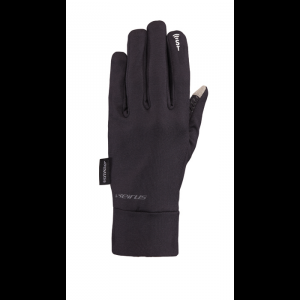 These are a little too thick to wear under many gloves; they do not work for me under Marmot's work gloves or Black Diamond's very warm Guide Glove, but they do with Outdoor Research's windstopper fleece Gripper Gloves. 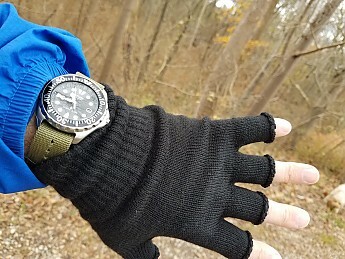 Easily the best fingerless solution I have used for cool/cold weather. 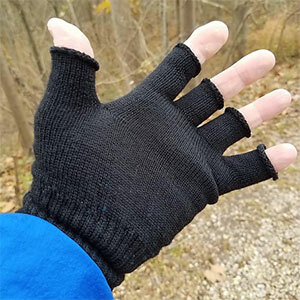 The Fingerless Merino Wool Gloves has been discontinued. 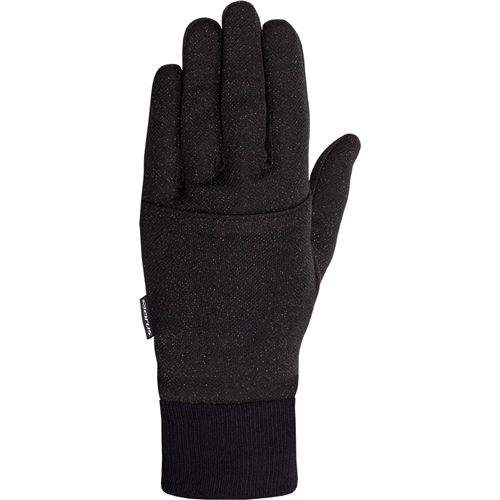 The Icebreaker Fingerless Merino Wool Gloves is not available from the stores we monitor.